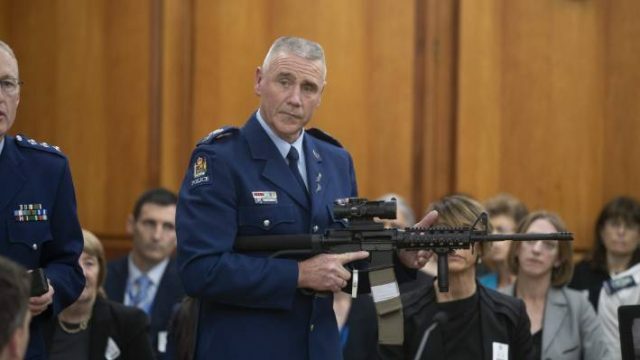 In the wake of the Christchurch terror attack, and New Zealand’s subsequent ban on military-style semi-automatic weapons, social media has provided a platform for gun owners. The comment sections on a range of New Zealand firearms community Facebook pages reveal that the culture of many gun users is more extreme than the gun lobby wants us to believe. There are disturbing norms operating in local gun culture. On the day of the shooting, some people posting on firearms groups’ Facebook pages expressed shock and sorrow. Others were immediately concerned about how it would affect them as firearms users. Contributors on some sites openly discussed watching the shooter’s livestream. Some Kiwi Gun Blog Facebook posters were interested in what firearms he used. Started with shotgun, then uses his AR15 to do the rest. Some contributors to the page mentioned the victims of the attack but many clearly prioritised the perceived harm to firearms owners. Very sad day. My condolences go out to the families. Only one group of people going down after this…is licenced firearm owners unfortunately. Watch the sale of semi’s go through the roof before the ban is announced. Bury your semi’s now before they get taken off you. …they will need a lot of search warrants and a team of people with spades. They will have to pull mine out of my cold dead hands. They will never get my precious. The second amendment to the American Constitution has been interpreted as meaning that citizens have a right to bear arms, but in New Zealand owning guns is indisputably a privilege, not a right. The government has the right to ban high calibre semi-automatics, magazines and associated parts and to demand that owners surrender these weapons. A parliamentary select committee will hear oral submissions to the Arms Amendment Bill this week, and the bill is expected to pass into law by the end of next week, with limited exemptions including pest control, theatricals and farming. The use of NRA discourses on New Zealand firearms sites reveals confusion, or perhaps a state of denial, about what is legally possible in New Zealand. Owning a gun for self-defence purposes is not legal in New Zealand, but contributors frequently mention the concept along with variations on the right to own a gun. We have found other NRA tropes on the New Zealand Deerstalkers Association Facebook page, inclusive of “Guns don’t kill people. People do”, and conspiracy theorists even raised claims that the shooting was a “false flag” event, staged specifically to discredit gun owners. When Prime Minister Jacinda Ardern announced the ban on semi-automatics, only days after the mosque shootings, the gun lobby responded quickly, expressing a sense of victimisation. The Facebook page of the Council of Licensed Firearms Owners (COLFO), a firearms umbrella organisation, carried a pastiche of Martin Niemöller’s poem, portraying firearms owners as needing to protect themselves in the face of oppression. STOP terrorizing firearms owners! You extremist…you’re a disgusting human being. Most comments come from men, judging by the names. This is unsurprising, given that 93% of licensed firearms owners in New Zealand are male. Violent misogyny appears on some of the pages, including many remarks about Ardern. Very few contributors make actual threats, but any threatening posts were rejected on grounds of the law, not because violent or misogynist suggestions were unacceptable. We did not find white supremacist sentiments, or overt racism on these public New Zealand Facebook pages. But there is almost no visible presence of Māori or non-Pākehā (non-white) people in the social media exchanges. Senior gun lobbyists present licensed gun owners as sensible and responsible—the only legitimate voice on firearms. But these online posts reflect the culture within the group, whose voice has effectively stifled political debate and stymied changes to firearms law for decades. Former police minister and now opposition MP Paula Bennett appointed two advisors from the gun lobby who encouraged her to reject 12 of 20 recommendations from the 2017 bi-partisan select committee report on illegal firearms. In 2018, following a public outcry about defence personnel taking military firearms into a school, a Ministry of Education reference group developed guidelines for schools. The group initially included only government employees, educators and representatives from firearms groups. When challenged, one of us (Hera Cook) was added as a health representative and observed how firearms experts persuaded the ministry not to keep a list of schools with guns. Gun owners’ social media posts show us that many firearms owners are not sensible and reasonable people. Faced with a tragedy, their response is to insist on a non-existent right to own firearms and to express willingness to break laws that do not suit them. It is past time that the desires of ordinary New Zealanders for peace and safety determined firearms policy.